NDSU › Publications › Food and Nutrition / Now Serving Beans! If you’re looking for a way to stretch your budget and improve your family’s nutrition, look no further. Consider adding more beans to your menu. They’re convenient, versatile and lend themselves to many tasty dishes. Beans are a rich source of protein, fiber, vitamins and minerals. Replace some of the fat in baked goods such as brownies with mashed black beans. Beans can be added to casseroles or soups to add flavor, texture and more nutrients. If you’re looking for a way to stretch your budget and improve your family’s nutrition, look no further. Consider adding more beans to your menu. They’re convenient, versatile and lend themselves to many tasty dishes. Beans are a rich source of protein, fiber, vitamins and minerals. Invite kids into the kitchen to help you make bean dip to accompany baked chips or vegetables. Replace some of the fat in baked goods such as brownies with mashed black beans. Beans can be added to casseroles or soups to add flavor, texture and more nutrients. Beans are a part of the legume family. 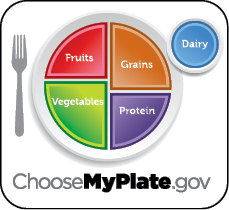 MyPlate classifies beans into two groups: the Protein Foods Group and the Vegetable Group. MyPlate recommendations for protein foods are measured in ounces whereas recommendations for vegetables are measured in cups. The recommended amounts for both food groups vary from person to person depending on age, gender and activity level. Learn more about what is right for you and your family. Beans are composed of protein, complex carbohydrates, fiber, antioxidants and important vitamins such as folate and minerals, including manganese, potassium, iron, phosphorus, copper and magnesium. On average, ½ cup of beans contains 116 calories, 8 grams of protein and less than 1 gram of fat. This makes beans a good addition to any diet. Heart health: Beans are naturally low in fat and contain no saturated fat(s), trans fats or cholesterol. Studies show a diet that includes beans may reduce the risk of heart disease. 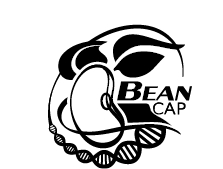 Cancer-reducing agents: Beans such as the small red bean have an abundance of antioxidants and phytochemicals (natural plant chemicals), which have been shown to reduce the risk of certain cancers such as colon cancer. Blood sugar management: Beans contain complex carbohydrates the body digests slowly. This makes them a good choice for diabetics to help keep tight control over their blood sugar levels. Weight control: Beans are low in fat and an excellent source of fiber and protein. Fiber and protein will help the body feel full faster and longer. Protein, along with exercise, will help build lean muscle. Pregnancy and healthy babies: Folate (the natural form of the B vitamin folic acid) is one of the many vitamins found in beans. Folic acid has been shown to reduce the risk of neural tube defects in newborns significantly. Pregnant women and women of child-bearing age should get the daily recommendation of 400 micrograms of folate (folic acid). Eating a diet rich in beans will contribute to this goal. Food allergies and intolerances: For people with food allergies and intolerances, beans provide a great source of nutrition. Individuals who have celiac disease are unable to consume gluten, a protein found in grain products. They can supplement their diet with beans to get fiber, protein, vitamins and minerals that might otherwise be missing because they aren’t able to eat grain foods. Main dishes: Add beans to chili, burgers and rice for a satisfying entrée. Side dishes: Baked beans or bean salad would make a great addition to any meal. Salads: Add beans to salads for added nutrition and color. Pasta: Adding beans to pasta dishes will add not only another dimension of flavor but boost the appearance of your dish. Baked goods: Replace all or part of the fat ingredients with mashed or pureed beans in foods such as brownies and cookies. You will add protein and fiber while cutting back on fat, cholesterol and calories. Dry beans require soaking in water. The soaking rehydrates the beans and allows for even cooking. Preferred Hot Soak Method: Sort beans by laying them on a cookie sheet and removing any small stones or dirt pieces. Place in a colander and rinse under cold water. Add 10 cups of cold water to a pot for each pound (2 cups) of beans you plan to cook. Bring the water to a boil and boil for one to three minutes. Cover the pot. Let stand. A four-hour soak is ideal. Finally, drain and rinse the soaked beans. Add fresh, cold water to fully cover beans. If you wish, add 1 tablespoon of oil and 1 teaspoon of salt. Simmer the beans until they are tender. Serve them plain or follow a favorite recipe. Add ingredients rich in acid or calcium such as tomatoes, chili sauce, ketchup, vinegar, wine or molasses after the beans have been soaked and fully cooked. If you add these ingredients too soon, they may prevent dry beans from becoming tender. Beans are done when they can be mashed easily with a fork. When using dry beans, change the water several times during soaking and discard the soaking water. Some of the gas-producing sugars are released into the water. Using the hot-soak method (instead of soaking beans overnight in cold water) also results in the release of more of the sugars into the water. When using canned beans, rinse them before adding to recipes. Add more beans and other high-fiber foods to your diet slowly. Your body will adjust through time, and gas will be less of an issue. Chew the beans well to help with absorption, and drink plenty of water when increasing fiber in your diet. Consider using a gas-reducing enzyme tablet (such as Beano) available in many grocery stores. Make a large batch of beans and freeze in recipe-sized amounts in freezer containers or bags. To use, thaw frozen beans in the refrigerator overnight, in a microwave oven using the defrost cycle or in a pan of water (for about an hour). Place beans in a small microwavable bowl; mash slightly with fork. Stir in cheese and barbecue sauce. Cover with plastic wrap and vent slightly. Microwave on high for one minute; stir. Microwave for 30 seconds or until hot. Serve with vegetables, chips or crackers. Makes four servings. Each serving has 90 calories, 2 g fat, 4 g protein, 16 g carbohydrate, 2 g fiber and 240 mg sodium. .
Preheat oven to 350 F. Lightly grease an 8- by 8-inch baking dish. Combine all ingredients except chocolate chips in a blender; blend until smooth; pour mixture into prepared baking dish. Sprinkle with chocolate chips. Bake in preheated oven until top is dry and sides start to pull away from the baking dish; about 30 minutes. Makes 16 servings. Per serving: 130 calories, 6 g fat, 3 g protein, 19 g carbohydrate, 2 g fiber and 105 mg sodium. Preheat oven to 350 F. Mash beans. Stir in tomato and cilantro. Spread evenly onto four tortillas. Sprinkle with cheese, spinach and salsa. Top with remaining tortillas. Bake tortillas on ungreased cookie sheet for 12 minutes. Cut into wedges and serve. Makes eight servings. Per serving: Per serving:190 calories, 3.5 g fat, 11 g protein, 32 g carbohydrate, 4 g fiber and 480 mg sodium. Preheat oven to 425 F. Brown ground beef, onion and green pepper. Drain excess liquid. Mix beef, onion, pepper, beans, tomatoes and spices. In a 9- by 13-inch greased pan, layer tortillas, ground beef and vegetable mixture, and cheese. Continue to layer tortilla/meat mixture/cheese until full. Place in oven at 425 degrees for 30 minutes. Casserole should be browned on top. Makes 12 servings. Per serving: 300 calories, 10 g fat, 23 g protein, 28 g carbohydrate, 5 g fiber and 620 mg sodium. Mix ingredients for ginger dressing in a large bowl. Drain and rinse beans; add to ginger dressing and mix. Cover and refrigerate at least two hours, mixing occasionally. Makes eight servings. Per serving: 250 calories, 8 g fat, 9 g protein, 36 g carbohydrate, 4 g fiber and 350 mg sodium. Cook macaroni in large saucepan of water just until tender. Drain and rinse with cold water. In a large bowl, mix broccoli, carrots and tomato. Add the rest of the ingredients to vegetables and stir gently. Cover and chill. Before serving, stir salad; add additional dressing if necessary. Makes eight servings. Per serving: 150 calories, 1.5 g fat, 8 g protein, 27 g carbohydrate, 6 g fiber and 240 mg sodium. This project was supported by Agriculture and Food Research Initiative Competitive Grant no. 2009-85606-05964 from the USDA National Institute of Food and Agriculture. “Eat Smart. Play Hard.” is an initiative of the Food and Nutrition Service, U.S. Department of Agriculture. Eat Smart. Play Hard. Together For more information about food safety and nutrition, contact your county office of the NDSU Extension Service or visit Eat Smart. For more information about food safety and nutrition, contact your county office of the NDSU Extension Service. Visit the NDSU Extension Service website. For more information about healthful eating for the entire family.